I'm not sure how serious this video is. I'm not sure if I care. But I'm pretty sure it's pretty rad. By Eva Husson for the track "If I Know You" by The Presets. Jack Daniel's "Label Story": "Old No. 7" from Brand New School on Vimeo. Well lookie lookie lookie! Here is one of the spots for Jack Daniel's that I worked on at Brand New School (they have a better quality movie on their site). Looks pretty good! I was part of a great team there, and we all worked really hard on it, and I know I learned a lot. I'm glad to see a great final outcome. I'll keep you all updated as to the other spots in the series when they get put up on the interwebs. Awesome! Also, here's a link to its feature on Motionographer!!!! Hooo boy! 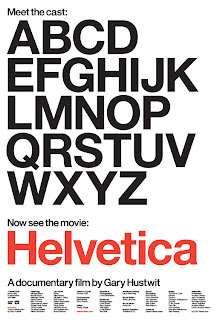 I just saw the documentary film, Helvetica, last night. It was created to tell the story of the legendary and ubiquitous typeface and describe why it has become so prevalent in everyday life as well as design. I really enjoyed the film, especially because it only used Helvetica as a prompt to delve into more philosophies of typography and graphic design. It was nice to hear from some major designers themselves about their mindsets when creating their work, particularly in relation to typography. Although I didn't agree with some of the things they said, especially about Helvetica (blasphemy! ), I can still appreciate what they have to say. It's a bit of a mind- and eye-opener in addition to an informative piece. Check it out. So I just saw the Kandinsky show up at the Guggenheim. Man. Incredible. A must see. 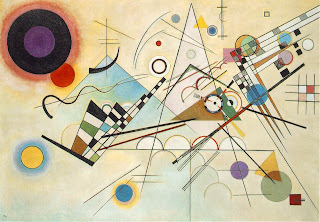 It's really amazing to see how much an artist can evolve, especially one who is known for such abstract work as Kandinsky. He knew that his work, despite being visual explorations in shape, color, and composition, could elicit an emotional response to the content beyond its mere form and was much more than just an expression of the "flatness of the canvas" so to speak, unlike many of his contemporaries. I've also got to give him a little tip of my hat for giving importance to the square, the circle, and the triangle in his philosophies on art and design, stating that besides these shapes being the foundation of form, they also have deeper meaning behind them, the triangle representing action and aggression, the square calm and peace, and the circle signifying the spiritual and harmony. My man! I'm going to try something different this time. 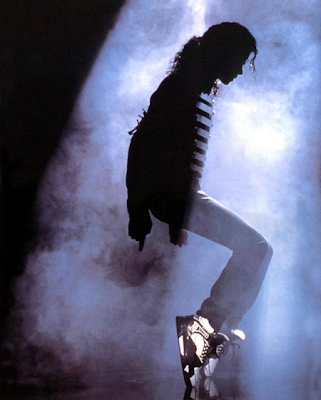 The King of Pop left us today. He had been suffering for a very long time, in ways most people were unable to understand. Whatever you may have thought of him, I hope you are able to pause and respect the fact that a great legend has left. I'm Mike Garcia. I'm an Animator and 3D Artist living, working, and playing in NYC. This is my blog. Oh my!